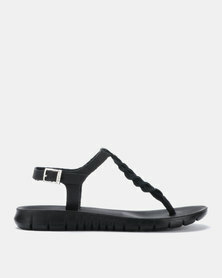 Browse through the online catalogue of flat women’s sandals that bring style to comfort. Ranging from slip-on sandals, to gladiators, and slingback sandals, the assortment is wide and offers high quality local and international brands. 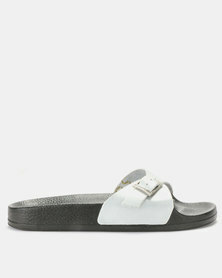 Buy sandals in the latest patent, metallic, Perspex and neon trends online at Zando now. 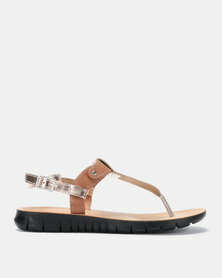 Be casual cool on weekends with jelly sandals and then add some edge to your night out ensemble with studded flat sandals. 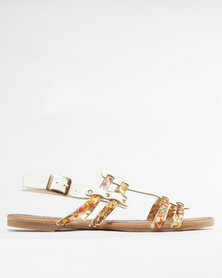 Whatever your style aesthetic, ladies sandals are a must-have!